Birth control, I love you. It’s not you, it’s me. I just wanted to take the time to say thanks for sticking by my side all these years. You empowered me to take charge of my own story through the most turbulent chapters of my life. You’re the reason I’m the most educated woman in my family so far, but more importantly, the reason my sister and I will be able to have friendly arguments about which one of us is the “real” doctor with a PhD and an MD between us. You’ve given me a sense of control and power, and the choice to live my life how I see fit. And I’m really sorry, but right now, this isn’t the best fit for me and my body. You’ve been there for me through thick and thin (but I just seem to get thicker and thicker). Some people have told me you’ve been a bad friend — with the acne, permanent scarring, bloating, weight gain, mood swings, and dreadful chin hairs. I know that’s true, but I forgive you. I forgave you when I got pregnant on The Pill at 18, when I miscarried before I knew if I should grieve or feel relieved. But it felt like I went through hell and back by way of cervix when I got my IUD placed, and I have been generally uncomfortable since. You’ve made it difficult to sit on hard surfaces, to be cramp-free in cold weather. My nausea and migraines have made me so worried that I might be pregnant again that I have a stash of pregnancy tests under my sink. You’ve allowed me to live life on my terms, and I thank you for that. But I’m currently in constant fear that these terms aren’t being met. When the doctors say we should experiment and find a you that’s right for me, I don’t think they understand my fears. 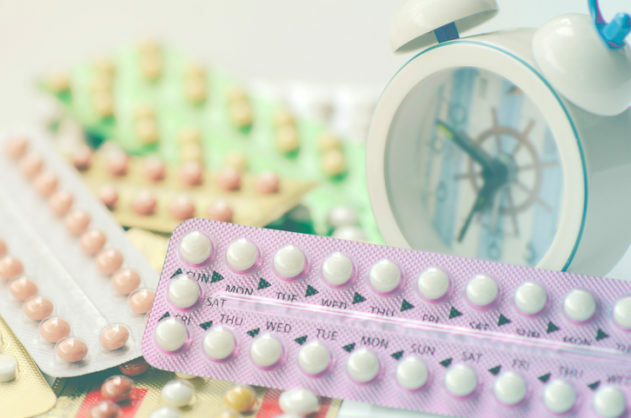 I’m worried if I go back to The Pill, I’ll get pregnant again. I’m worried that if I stay where I am now, I’ll be pregnant and not even know it. I want to be a mom, so badly. I’ve cried about our miscarriage. Would it have been a girl or a boy? Was there anything I could have done? Did we mess that up, or was it just my body? Has my relationship with you for over a decade impacted my ability to carry a healthy pregnancy? Is my body going to fail me again? Birth control, I love you. It’s not you, it’s me. These are questions I can only answer without you. I have to say goodbye to you, because while I might not be ready for kids just yet, I want to make sure I’m taking care of my body. I can honestly say that at this point, I’m not sure which of my symptoms are me, and which are you. I still want you to be friends with my friends, because you’re a great friend to them. You’re supportive. You give them the choice to live life as they see fit. You keep them on track with their plans even when they aren’t making the smartest decisions. You keep them safe, even when they’ve been forced into unsafe situations. I can never repay that debt. I am so lucky I am in a place in my life now that I can say goodbye to us for now, or maybe even goodbye forever. You have allowed me to take the time to find the partner I want to parent with. I am so thankful for the choices you have allowed me to make. Until further notice, goodbye, my friend. Alex DeYonke is a grad student studying pesticide resistance, a former military kid still searching for a place to call home, and a proud bisexual feminist. She’s got two great cats, a wonderful fiance, and way too many coffee cups. If you’re looking for more open honesty, consider following her on Instagram @alexdeyonke.